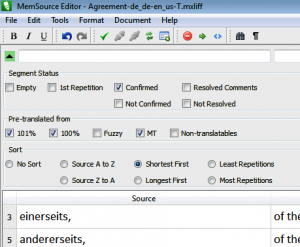 We have recently released Memsource Editor 1.56. This new version introduces additional filtering options, specifically segment filtering by segment status. A previous version (1.49) has introduced segment filtering by text content. Version 1.56 introduces segment filtering by segment status.